Hello Android Lollipop and Marshmallow users, now you can flash and use your favorite sound mod on your device and enhance the sound surrounding effects. So this AIO Sound Mod Flashable Zip For Lollipop & Marshmallow contains Viper’s Audio, Dolby Atmos & Sony Walkman. You can enhance your device sound effect by flashing this zip through the help of custom recovery and then you will get the application on your device where you can switch to three different sound mods. This AIO Sound MOD Flashable Zip has been developed by TheRoyalSeeker one of the Senior Developer on Xda-Forum and the credit goes to him for combining all three sound mods in one flashable zip. 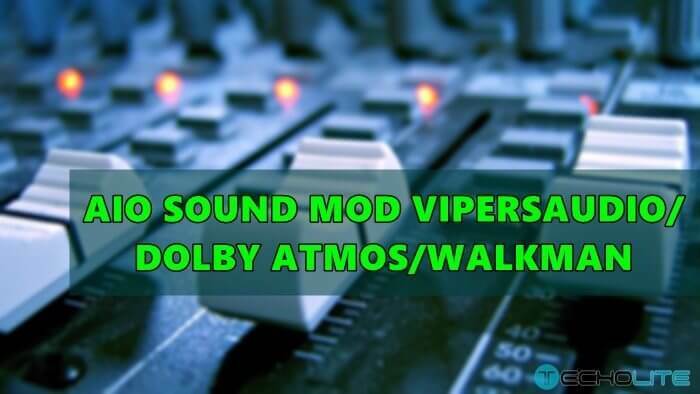 Also for Viper’s Audio, the author is zhuhang, for Dolby atmos the author is worstenbrood and Sony Walkman author is banez7. Surround Virtualizer (creates a surround sound experience through headphones or built-in speakers). AIO Sound Mod does’nt work at all. I flashed it in my ViperRom m9_android v6.0_sense 7. It stops the systemUI. Lolipop and Marshmallow have different file structure. I’m not understanding that how this mod works on both OS ? Anybody tasted this mod on HTC Android M ?? Sad to hear but you can ask on the official links provided.